Ho Kok Hoe - Stanwell Park, N.S.W. Ho Kok Hoe - Balmoral (Mosman), N.S.W. James R Jackson - Northern Landscape, Bellingen, N.S.W. 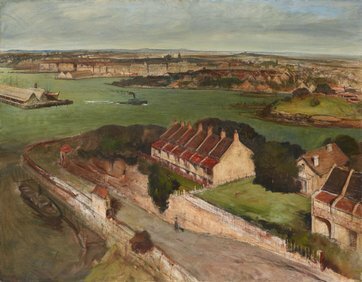 George Raffan - Liverpool Range, N.S.W. John Salvana - Yarramalong Valley, N.S.W. John Salvana - Summer Morning, Tuena, N.S.W. Dora Toovey - Newcastle, N.S.W.